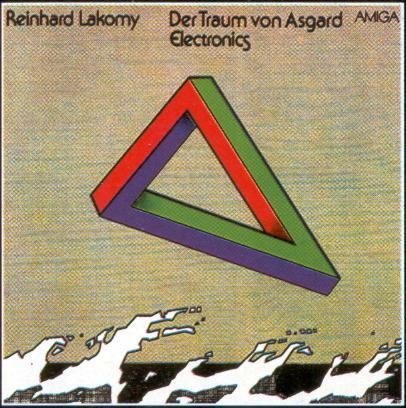 Impossible triangle is depicted on CD cover of album "Der Traum von Asgard" by German musician Reinhard Lakomy, which was released in 1983. Reinhard Lakomy is a German composer, pianist and singer. He was born in 1946 in German Democratic Republic. His music ranges from pop and jazz to electronic. His official site is http://www.reinhard-lakomy.de.